They’re more concerned about their business than their customers’ wants and needs. They’re set on “undercutting” their competition to try and woo customers. Both can be fatal for business. The good news is that for every mistake listed below, there’s a viable solution that follows. To be the change you want to see in your business, review your pricing policies and see if some adjustments are needed. This generally happens when a business owner sets a set price on a product or service with no options for payment except “pay in full”. FIX: Offer several purchase options for customers to select from for your products or services. This allows your customers to feel like they are smart shoppers and removes the “compare competitive prices” factor. It helps the customer feel as if he or she has solved a problem and made a wise decision. Consider offering 3 options with the 2nd offer being a “made me an offer I couldn’t resist” option. Customers are trained to shop for the best bargain, not the best product or service. Branding gets around this to some degree, as some people will only buy one brand and wouldn’t even consider a competitor’s brand. FIX: What business owners must do is to figure out the worst-case scenarios their potential customers could face if they make a “poor” decision (i.e. going with the competition). That’s something that has to be figured out BEFORE the sale. Don’t just guess. Do the research. Offer a startling statistic. Say you’re a non-profit promoting the foster care program. There are currently 600,000+ kids in the foster care system in the U.S. That’s a shocking number. As you “educate” your buyer, break down how much a month they will pay to avoid being part of your startling statistic. You’ve heard the commercials combating worldwide hunger, “Only $5 a day can help feed a child for a week.” $5 sounds so reasonable. Let your customer be part of the solution. 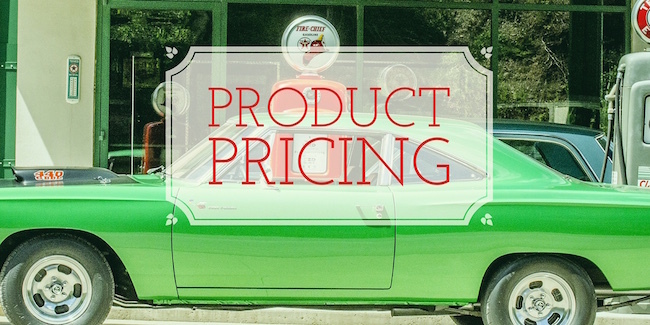 FIX: Overcome cheaper price objective by framing the argument from the customer’s perspective. Trust me, you don’t want “pay a high price” to mean something negative and unsatisfying for your customer. You want them to not care because they are so thrilled with the results. If they come at you with how the competition charges less. Counter with how cheaper is not always better, and draw their focus to the added value you offer. Of course, for this to work, you must truly have value to add. You can’t just say it; you actually have to be able to stand behind it and show customers the value they will get by paying a little more. Otherwise, you’re over promising and under-delivering. FIX: This takes some serious thought and involves creating a “widget”. Examples: How can a delivery service be a product? United States Postal Service (USPS) created a “widget” with their packaging: “If it fits in this box, we ship it.” Sell results. Financial companies, coaching companies, consulting companies can all sell information. E-books, reports, and newsletter subscriptions are all examples. FIX: Offer different packages (some choose bronze, silver, and gold) for different “levels” of buyers, then sell up to your bronze and silver customers, encouraging them to become “gold” customers. Remember, if you price the same product or service lower for one customer and higher for another, you risk upsetting customers and therefore cut referral potential. Some business owners price higher by zip codes. Consider offering specialty packages for different “groups” and occasions. “Senior discounts”; “Student discounts”; “New Business Discounts”; “Holiday discounts,” etc. Seeing the warning signs can help business owners avoid the pitfalls. And brainstorming solutions can help others who have already fallen into some of these “traps” get out. Knowledge really is the key–for your customers and for you.